20 years ago, marketing was relatively simple compared to today. TV, radio, and print were the powerhouses. Even if you were only effective at one of those channels of communication, you still had a high probability of reaching your audience. Fast forward to 2019: TV, radio, and print are only effective for a select amount of industries, leaving the rest of us to try and master this thing we call digital marketing. Digital marketing is simultaneously the greatest and worst thing to happen to the marketing industry. You have the ability to start a business, reach your target audience, achieve astounding growth, attract investors, and retire all from the click of a button on your laptop (well, maybe a few clicks). It can also lead you down rabbit holes and cause you to spend money in the wrong places. Those two things can force you to close up shop for good. Once businesses started seeing success with digital marketing, the internet flooded. We used to complain about seeing a commercial every 5 minutes when watching the latest episode of Prison Break. Now, we’ve generally accepted the idea of integrating commercials and ads into our lives. And when I say “our lives”, I mean our phones, computers, watches, tablets, and our countertop microphones like Alexa and Google Home. We’ve accepted so many pieces of technology into our lives because it makes living easier. The bad part for marketers is that we’re all starting to try to reduce the amount of time our eyes stare at a screen. Our devices are starting to give us screen time reports, which is telling us the exact amount of time we are spending a day on our devices. Everyone is starting to gain some perspective on how valuable our time is. We aren’t just going to give it away to anyone, or any business. They need to earn it. That begs the question for anyone working in marketing today: how the hell do we communicate with our audience while they are actively trying to not look at the devices we’re communicating through? Even though we’ve found an endless amount of communication channels, we need to have an effective communication method in order to capture the attention of our customers. Enter the science of storytelling. Stories are a way for our brains to naturally understand information. One of the earliest forms of education for children is storytelling. We are able to process a story easier than learning and retaining facts and data in any other method. Our minds place us within the story, and we visualize every aspect of it. When you become a captivating storyteller, you are able to deeply and authentically engage with your audience. Storytelling is how you earn your customers’ time and attention. Let’s walk through an example. I’ll apply this to Harry Potter. After many years of living with his aunt and uncle who treated him horribly, Harry Potter had finally received a letter informing him he had been accepted into the Hogwarts School of Witchcraft and Wizardry. When Harry arrived at the school, he learned that the Sorcerer’s Stone was in danger of being taken and used for evil by the infamous Lord Voldemort. Harry Potter and his friends set off on a mission to protect the stone and defeat Lord Voldemort. Harry was able to defeat Lord Voldemort due to the special scar he possessed on his forehead, which saved the Sorcerer’s Stone and the day was won. This INSANELY abbreviated version of Harry Potter contains all of the essential storytelling elements. Harry Potter is the hero of our story. He needs to save the Sorcerer’s Stone so he can protect everyone from the evils of Lord Voldemort. Conquering Lord Voldemort will make it safe for everyone at the school to continue on their journey of becoming educated Witches and Wizards. The scar on Harry’s forehead is the tool he used to defeat Lord Voldemort and win the day. When applying storytelling to business, your customer is Harry Potter, and your product is the scar. All too often we see businesses that have that reversed. When your business becomes about you and not your customer, people tune out. By now, you understand what the components of a story are, and where you and your customers fall within those components. If your business already exists in the market today, then you already have all of the components of your story. You just need to lay it out on paper. 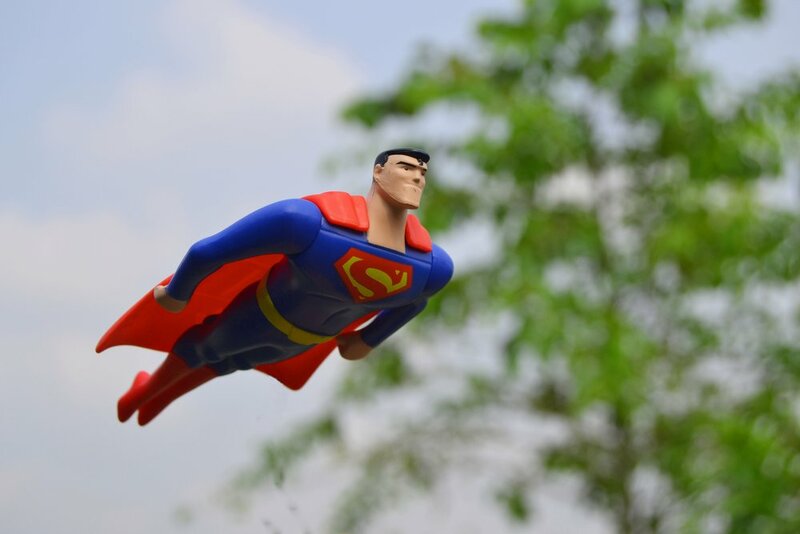 Your customer is ALWAYS the hero of your brand’s story. For the purposes of this example, we’ll say the hero in this story is “Ray”. Ray loves running, it’s his favorite way to stay active and healthy (the setting). Ray loves to stay healthy in other ways too, by purchasing and consuming natural products. He is on a mission to find natural alternatives to the items he purchases and consumes on a regular basis (the plot). Ray has found that there are not a lot of options for reliable running shoes made from natural materials, so he’s forced to buy shoes that are harmful on the environment but allow him to remain an active runner (the conflict). Ray was talking with some of his runner friends, and someone told him about Allbirds, a company that manufactures running and casual shoes from environmentally sustainable materials. After doing his own research, Ray found that Allbirds makes their shoes using wool, trees, and sugarcane. He ordered a pair, and found that they were some of the most comfortable running shoes he had ever owned. The best part is that these shoes are all natural! Thanks to his friend’s recommendation, Ray has finally found a natural option for the running shoes he has to replace every 6 months (the resolution). This is a simple brand story about a real company. The story resonates with you even if you aren’t a runner. You’re able to place yourself in Ray’s shoes (pun intended), and visualize his journey to reduce his carbon footprint. When you create a business, you spend so much time thinking about your “Ray”, and the journey he’s on, and how you can solve a problem he faces on a regular basis. After spending all of that time understanding your customer, you don’t want to miss an opportunity by telling your story the wrong way. Remember, it’s hard to stand out today against the noise we all live in. This is why keeping your customer as the hero is so important. If an ad on social media (or another digital platform) catches your attention, it’s because the product is helping you solve a problem you’ve been having. You didn’t have to dig to find the value, they hit you with it right away. It caused you to stop scrolling for a second, now they have your attention. Once a business captures the attention of their audience, it’s time to tell the story. We have plenty of communication channels. No matter what, someone can get ahold of us at any time. Marketers know how to reach an audience, but we need to know how to resonate with an audience. By now, you understand the science behind storytelling, the elements of a story, and how to craft your brand’s story. Now it’s time for the fun part, putting it into practice! The great part about becoming a great storyteller is that it isn’t just a form of marketing, it’s a style of communication. You can use this style of communication in all areas of your brand. When you make your customer the center of your communication, they listen. Humans are naturally tuned in when the conversation is about them. This is the biggest reason why businesses have shifted to this style of communication. Side note: when I say “customer”, this can also mean your employees. Jeff Bezos just recently announced in his 2018 annual letter that all PowerPoints are banned from company meetings. Instead, he is requiring meetings follow a narrative structure. Scientific research shows that our brains are wired to process narrative. Using a narrative style can make meetings more productive, rather than imposing the dreaded death by PowerPoint. Here’s to hoping that other CEOs and company leaders catch onto this method! The question from the skeptics: how long will this fad last? Well, the good news for the storytelling supporters is that this is far from a fad. Consider it an upgrade to the way businesses communicate. As a consumer (or employee), we have an unlimited amount of options. Why should anyone give their time and money to a company that doesn’t value them? We gravitate towards the companies that value us, and add value to our lives. Storytelling is heading towards becoming a gold standard in business communication. The companies that exhibit a culture of professional growth, job satisfaction, and community will recruit the best talent. The only way that culture is spread throughout the company is through storytelling. When a company can present their products in a way that gets their customers to visualize the pain points they have and see the value in what is being offered, that company will boost their sales and increase customer retention. Although I’m speaking in hypotheticals right now, this is very much a real thing that’s happening today. There are companies that don’t think storytelling applies to their industry or their particular business. Well I’ve got some more good news! It applies to EVERY business in EVERY industry. As a business community, we need to not take our customers’ loyalty for granted. There is no business that is too big to fail. Consumers have an endless amount of options, so we need to treat every customer as if they are ready to never come back. They are not beholden to any one company. Looking at your communication efforts from your customers’ perspective will help you gain insights into your improvement areas. The more perspective you gain, the better suited you will be to capitalize on making the sale and retaining your customers. Even though we all have an endless amount of options, we are still loyal by nature. If you communicate your value in the right way, at the right time, while keeping your customers’ needs at the forefront of your brand’s message, your business will resonate deeply with your customers.